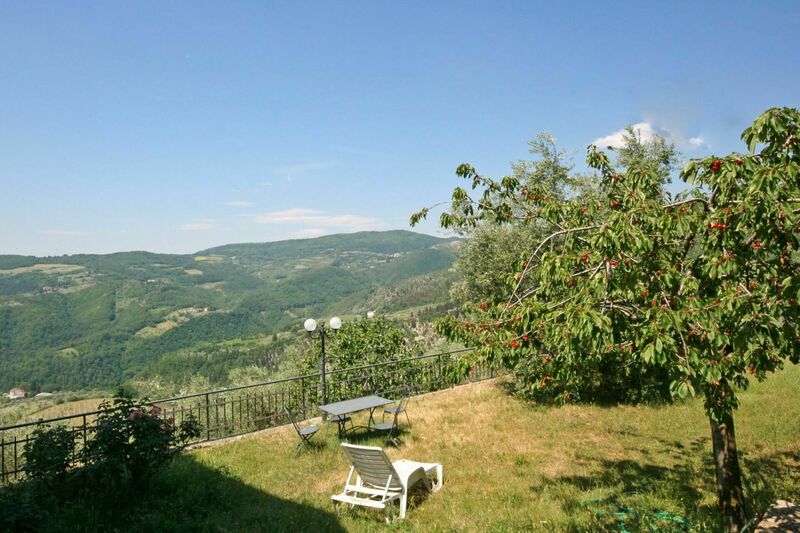 Large country villa with private swimming pool and beautiful panoramic view located at 30km away from Florence in a farm with more than 100 acres of woods and olive groves. 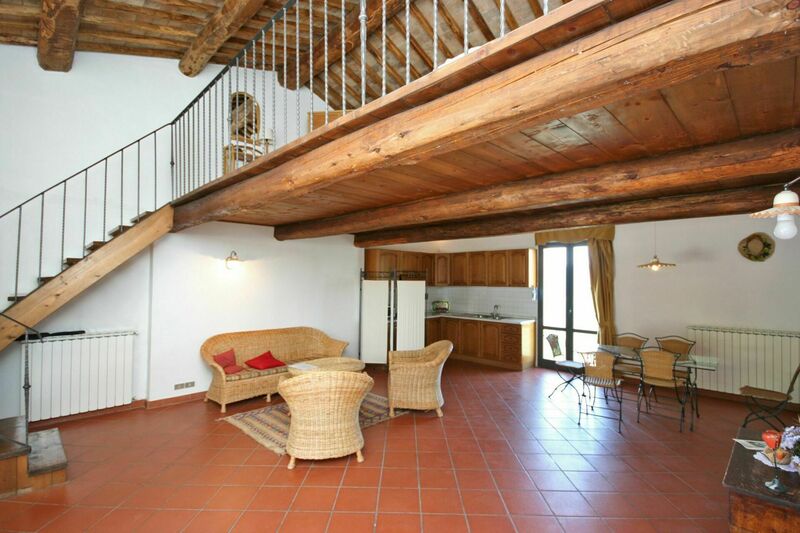 Inside, this amazing villa is simply furnished in rustical style, in perfect sintony with its environment. 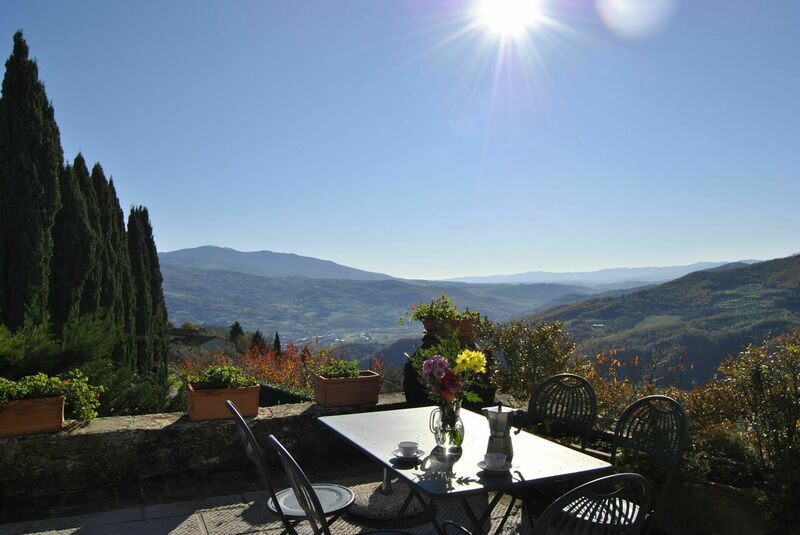 Florence area and surroundigs located in Tuscany collects in this beautiful location all its natural, historical and enogastronomic features, typical of this zone. Villa Casalta offers to its guests a new private swimming pool, ideal to spend relaxing moment with friends of family, a large garden and extensive panoramic terraces. 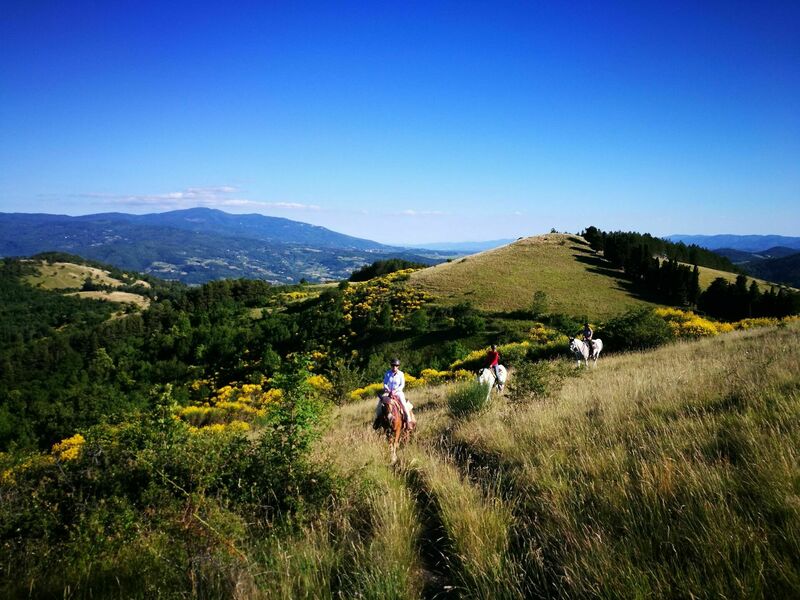 The owner manages a horse stable at short distance from the house and it's perfect for guests who want to have marvellous ridings on the several nature paths and also for who want to ride a horse for the first time. 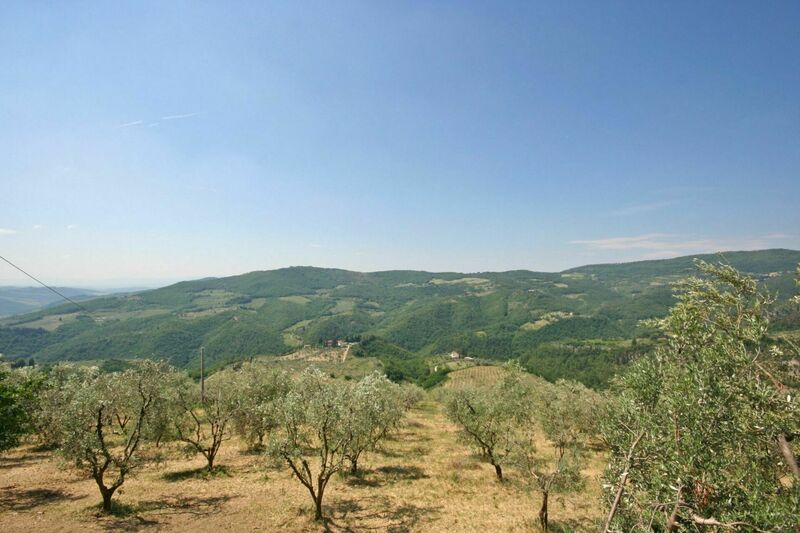 The farm, with olive oil, ham and cheese production is in a dominant and quiet position, on a hill slope, and feature a beautiful panoramic view over the valley below. Inside the property there is a beautiful swimming pool, a big barbecue with open dining area and terrace with Wi-Fi internet connectio. 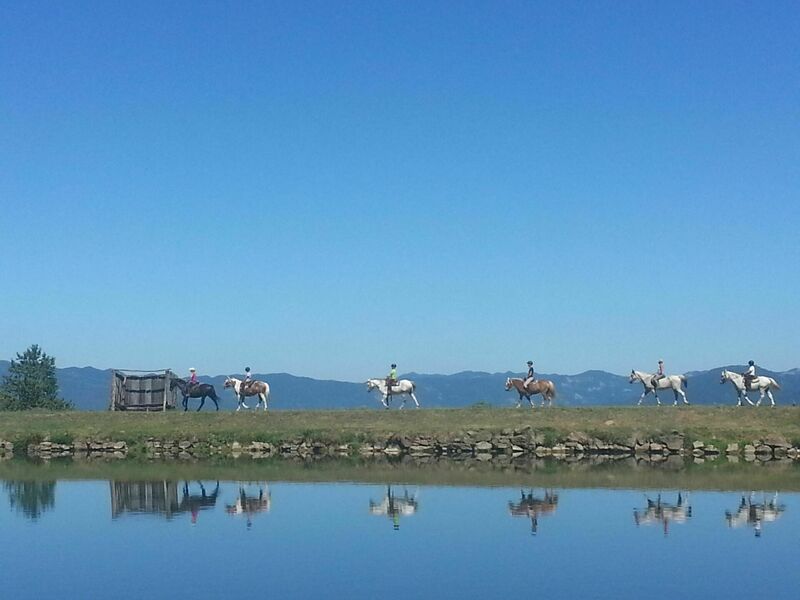 It's also possible on request to ride a horse. The access is through an unpaved street of 200m. 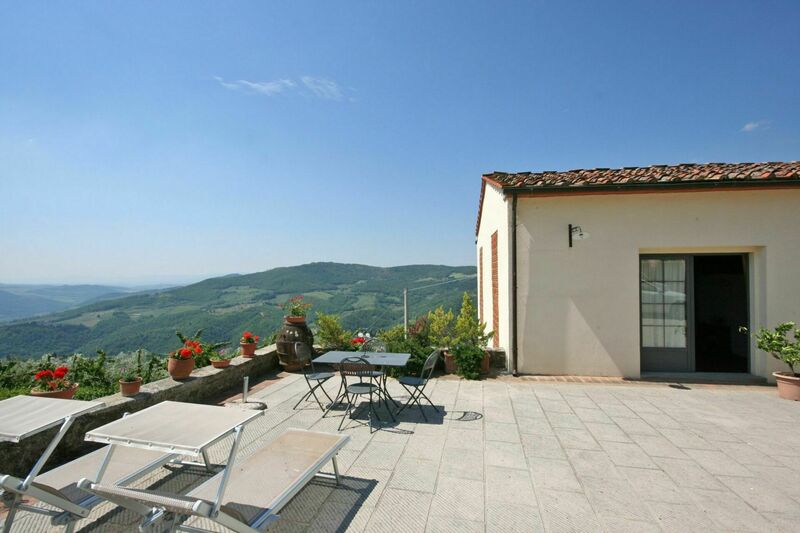 Villa Casalta is the ideal place to explore nature and country life. 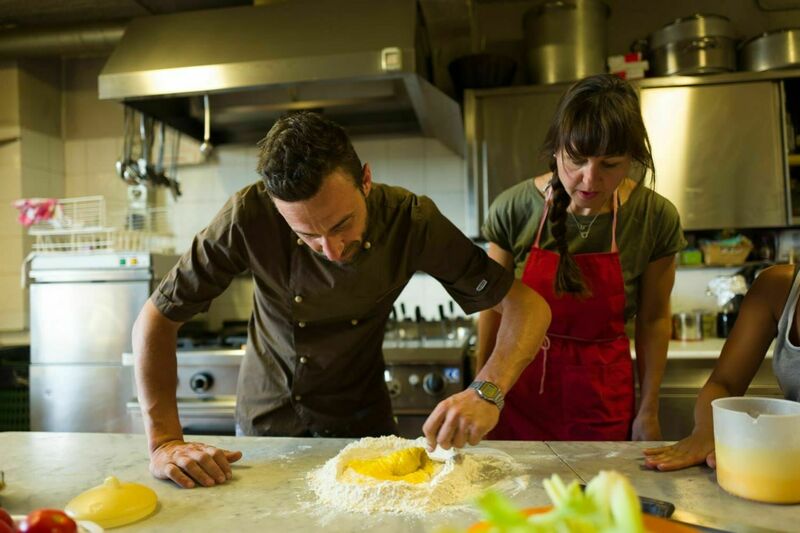 In Villa Casalta guests will find a familiar atmosphere where to enjoy and discover the countryside flavors: on request, guests can take part in cooking courses, lessons, lunches and dinners. Contact us to know the details of extra services! 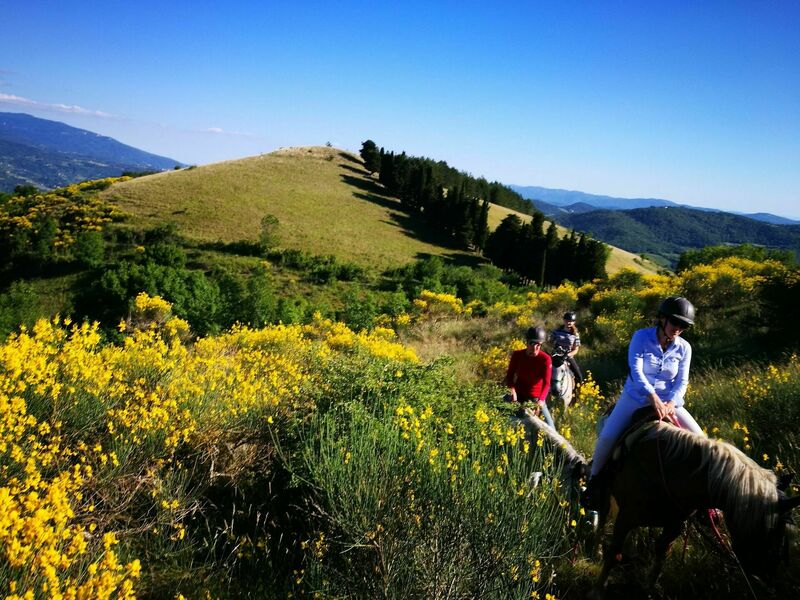 It's also possible, on request, to visit wineries in the surroundings and the farm mill, cooking lessons, night jeep tours, pony riding and riding lessons. The agritourism offers an excelent restaurant, which will be open everyday for breakfast, on Sundays for lunch, on Mon-Wed-Fri-Sat for dinner. 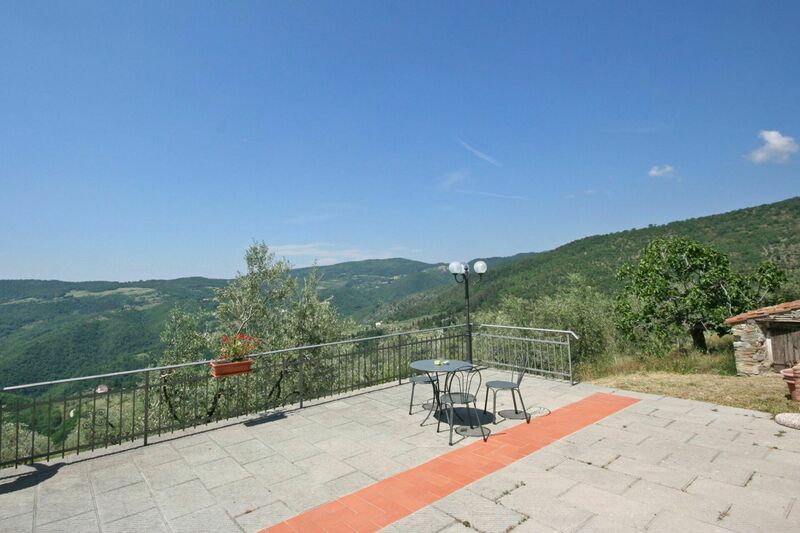 Distances: Acone with minimarket, grocerie/pizzeria and bar open in summer at 1 km away, Rufina with shops of any kind and train station (daily transport to Florence- about 30 minutes) at 7 km away, Florence at 30km away, Radda in Chianta at 65 km, Arezzo at 77 km, San Gimignano at 85 km, Siena at 98 km, Lucca at 117 km, Pisa (airport) at 137 km, Rome (airport) at 305 km. 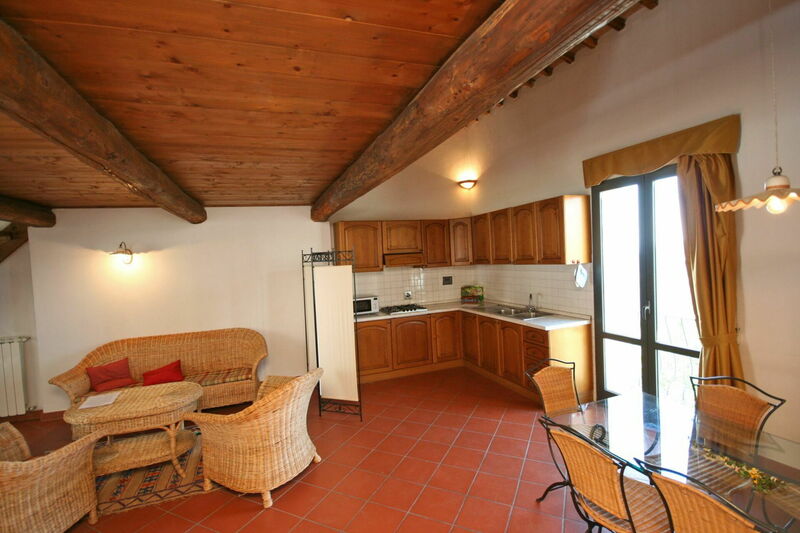 Ground floor (access from the terrace): small kitchen (satellite TV, fridge 120 lt, small electric oven) with dining table and sofa bed, double bedroom with access to the terrace and en-suite bathroom with shower. The sofa bed usage is limited to children under 12 years old. The apartment is furnished for people with disabilities. 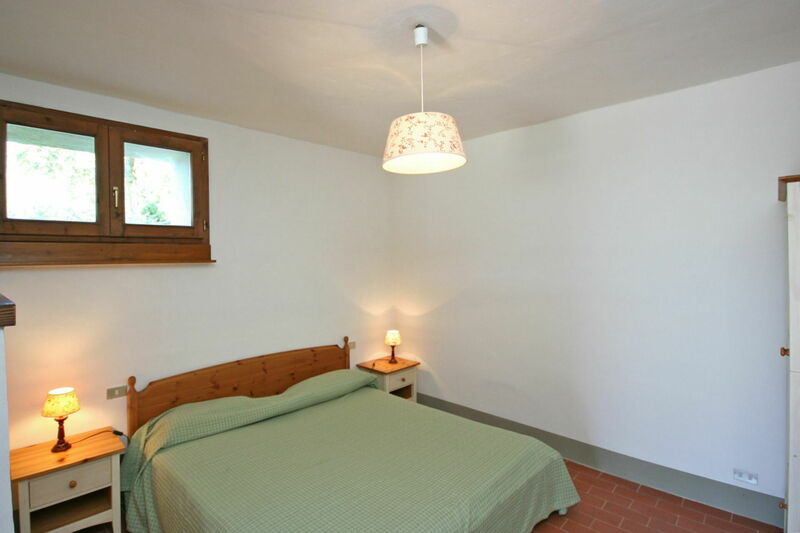 Ground floor (accesso dalla terrazza): small kitchen (satellite TV, fridge 120 lt, small electric oven) with dining table and sofa bed (usable only for children under 12 years old), double bedroom open to the lounge, bathroom with shower. Ground floor: large living room (satellite TV) with dining area, kitchenette (fridge 120 lt, small electric oven) and access to a mezzanine with a double bed, double bedroom with access to a mezzanine, bathroom with shower. 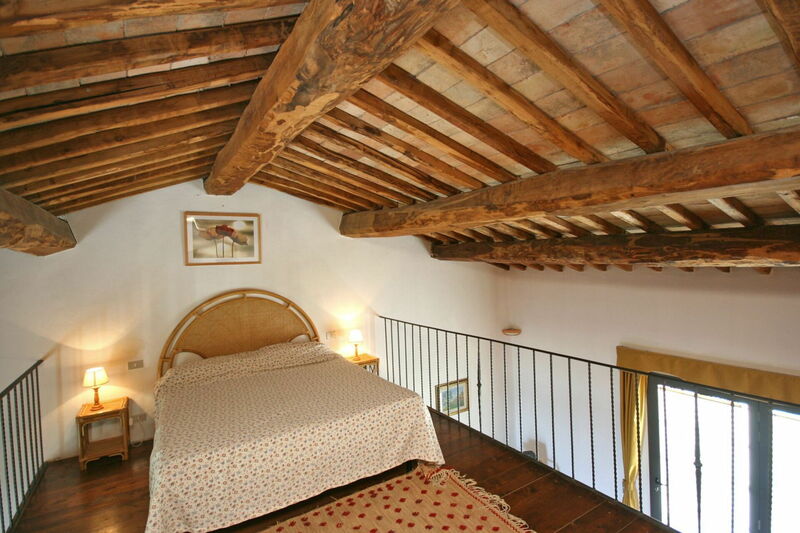 The apartment has a beutiful panoramic view and a private garden. Ground floor: large living room, kitchen, bathroom with shower, 3 double bedrooms. 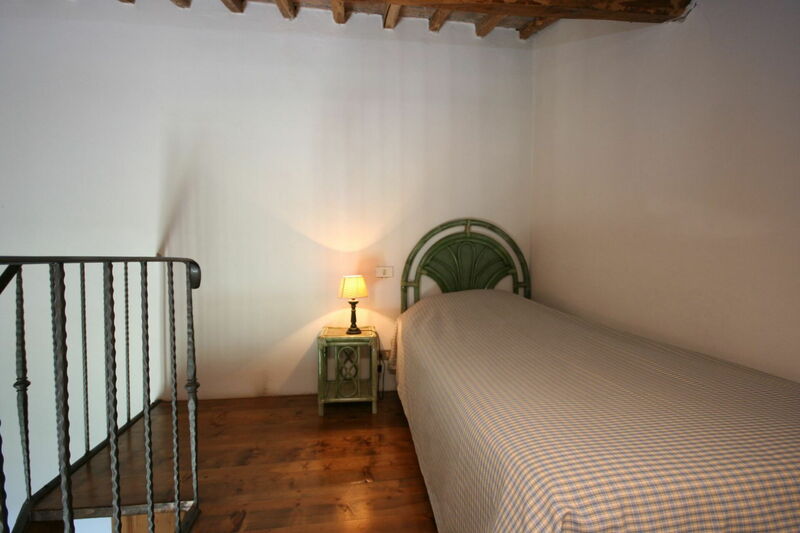 Spacious house, very personal and specially decorated, so you feel right at home. The area is beautiful. 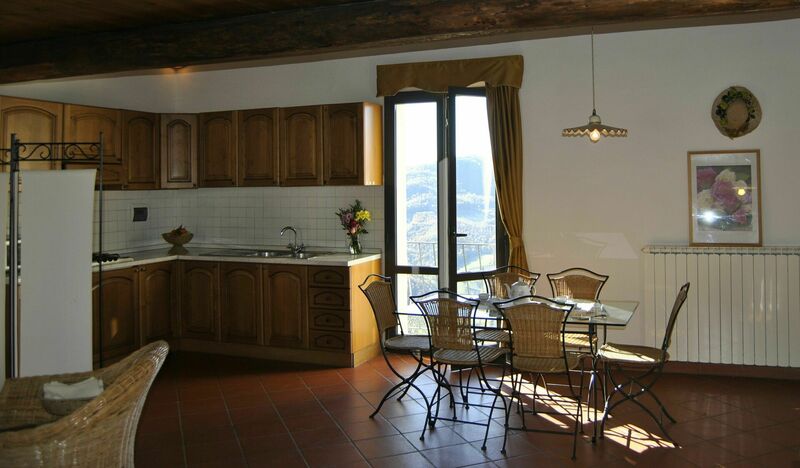 The house is a wonderful meeting place for evenings, where you can cook, eat and talk with your friends. Very nice! 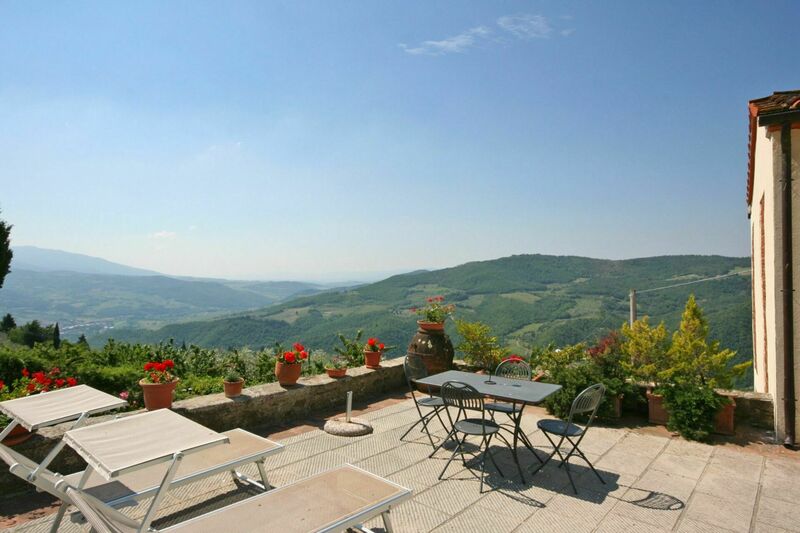 There is a lot of nature and lots of art to see, a very good area to discover Tuscany. 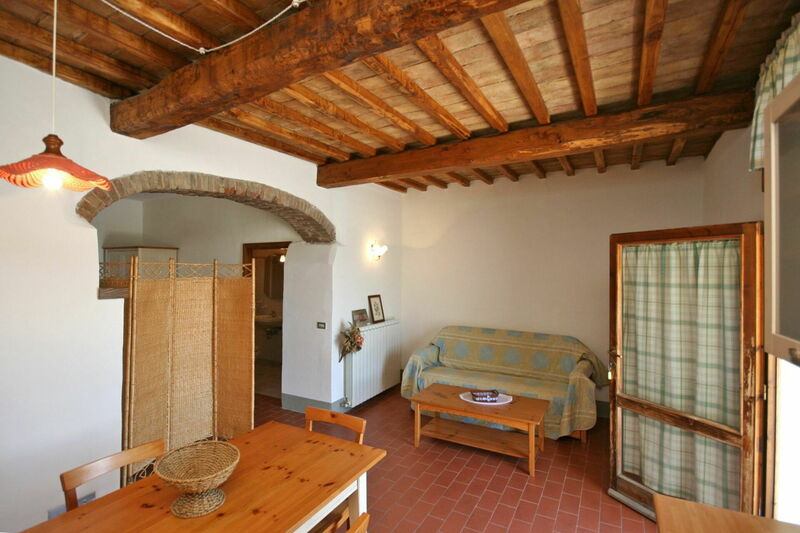 The villa is definitely worth the money and we are happy to recommend it. We were a party of 12 (sie couples) and this Villa was fantastic!! It exceeded our expectations. The photos represent the villa perfectly. It was very clean and beautifully decorated. Appliances worked very well. We loved sitting out by the pool in the evening. The owners were very welcoming and made sure that we had everything that we needed. They were very helpful and arranged a wonderful dinner for us at their restaurant. 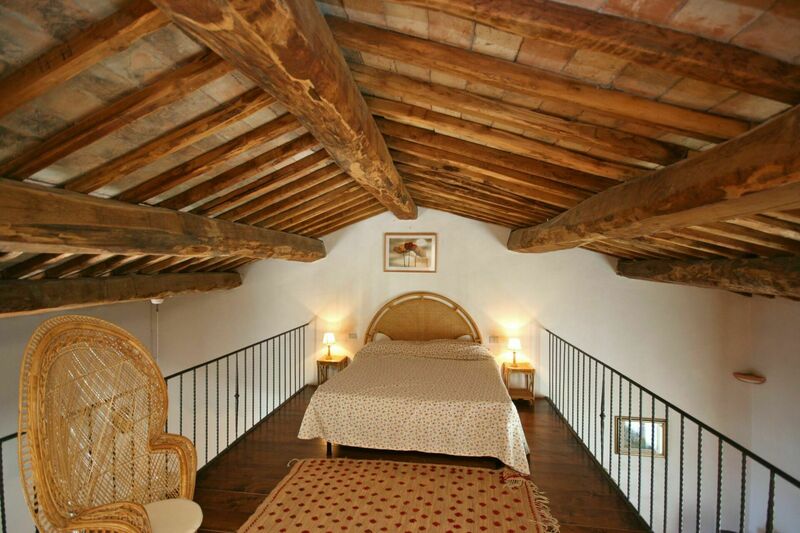 It was situated very well for day trips to Pisa, Firenze, Volterra, San Gimi, Sienna etc. Save time to enjoy this property though!! 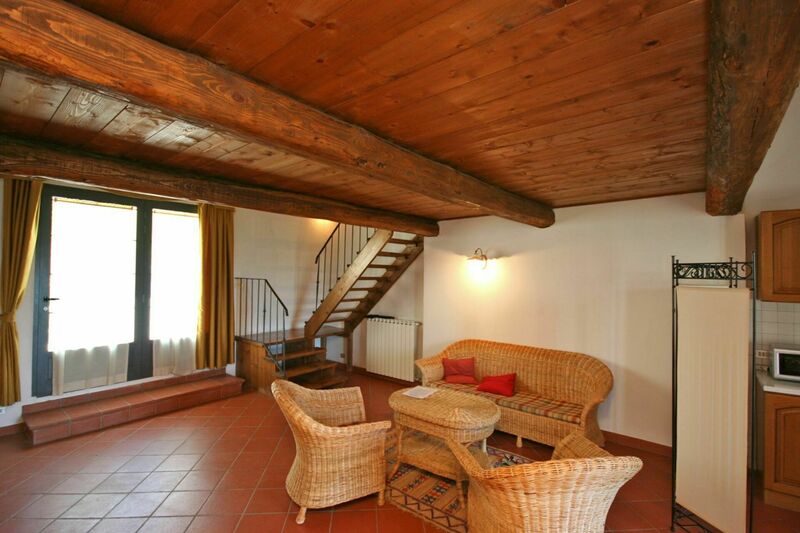 Der Hof ist wirklich fantastisch für Ferien mit 3 Familien. Die Kinder waren begeistert von den Pferden und von Schwimmbad, die Erwachsenen waren begeistert von dem Blick und den einmalig leckeren Produkten des Hofes. Die Besitzer sind wahnsinnig nett und kennen sich sehr gut ion der Gegend aus. Alle Empfehlungen waren wunderbar. Es sind die perfekten Gastgeber! 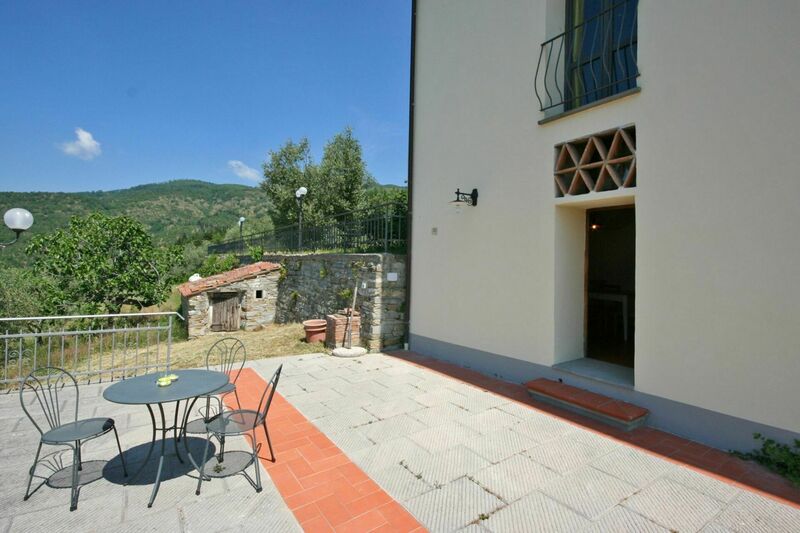 La casa è suddivisa in 4 case che sono provvisti di tutto. La posizione é molto buono per visitare la Toscana. I proprietari sono gentilissimi e alla mano. 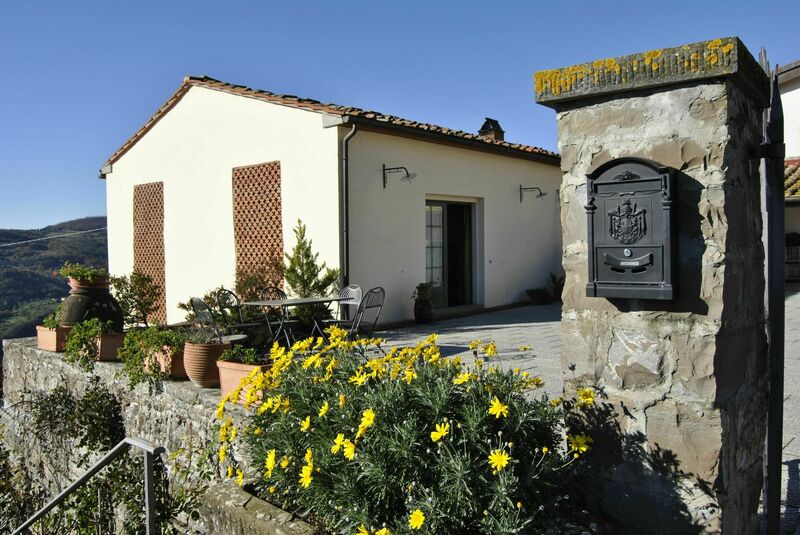 La propriété est située dans un endroit magnifique mais calme, entourée de vignes et de paysages toscans spectaculaires. 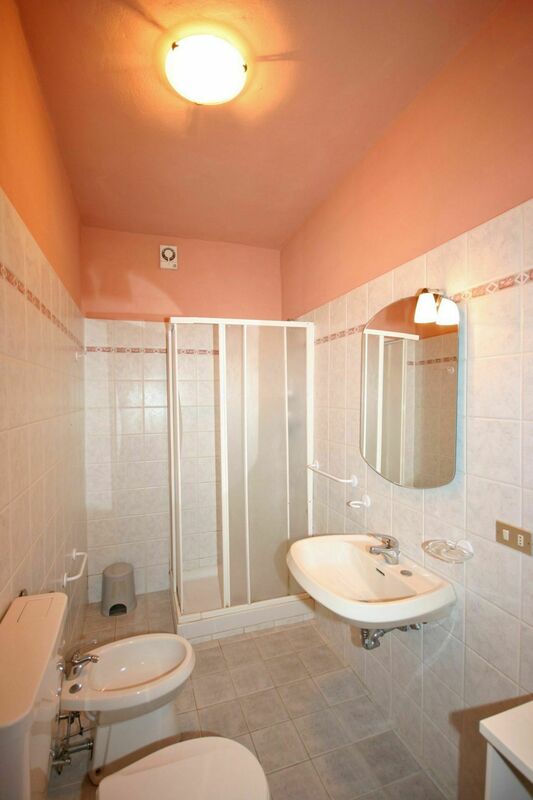 L'appartement était spacieux et généralement frais à l'intérieur malgré les températures élevées à l'extérieur. La piscine est superbe avec beaucoup de dallage et beaucoup de chaises longues.